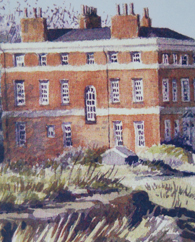 Bridgewater House was built in 1771 by Francis Egerton, 3rd Duke of Bridgewater (21 May 1736 – 8 March 1803) to allow him to oversee the construction of the lock system that connected the Bridgewater Canal to the river Mersey. 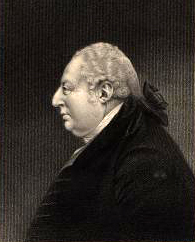 He is famous as the originator of British inland navigation, the commissioner of the Bridgewater Canal—often said to be the first true canal in Britain and the modern world—which was built for him by James Brindley to service his coal mines at Worsley, in Lancashire. After the completion of Runcorn Locks in 1772, the original use for the house was no longer there, but it had been substantially built and remained in the Duke's possession until his death in 1803 and then passed to the Bridgwater Tustees, who took office under the terms of his will. In 1872 the Bridgewater Navigation Co Ltd was set up and bought the Mersey & Irwell Navigation as well as the Bridgewater Navigation and its associated assets, including Bridgewater House, which the company is thought to have used as offices. Ownership changed again in 1887 when Bridgewater House and other assets of the bridgewater Navigation Co were bought by the Manchester Ship Canal Co, which would not otherwise have been able to build the ship canal. The house, with a caretaker in residence, was then used mainly for entertaining purposes, for instance when the Upper Mersey Navigation Commissioners were carrying out one of their periodic inspections or the Ship Canal directors were holding a function. Company officials such as senior engineering staff would also use it for dining purposes when working in the area. Part of the house was taken over by the Balloon Section of the RAF on the outbreak of war in September 1939, and the whole house was requisitioned by the Air Ministry in July 1943. During the war years, the historic furniture that had belonged to the Duke was put into store but some deteriorated badley and was found to be beyond repair. The remainder, including chairs, a sideboard and pictures of the Duke and James Brindley, were returned to the dining room. 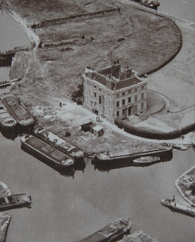 After the war, the management of the house was placed in the hands of the Canal Co's Bridgewater Department, but upkeep of the premises had been costing some £2,000 per annum prior to the war and the chairman did not think such expenditure was justified. At a meeting in September 1945 the future of the house was discussed, the item on the agenda being headed 'Disposal of Bridgewater House', but no decision was then reached. At a further meeting in December, the committee put forward an alternative proposal involving retention of the house and carrying out internal alterations to permit new uses to be made of it, and this suggestion was approved. The future use of the building was again under consideration when the disastrous fire broke out in 1998, destroying the roof and a large part of the upper floors. Water damage during the fire-fighting was also considerable, but the building was quickly cocooned in scaffolding and sheeting to prevent further deterioration while repairs were planned and carried out. Externally, Bridgewater House is now much as it was before, but the interior is now entirely used as offices. The retention and restoration of this historic building can be hailed as a success story, but much now depends on the nature of developments that are likely to take place in the area. It is probably too much to hope that any of the canals or their associated basins will be restored, but a token restoration of the lock alongside Bridgewater House and reinstatement of a stretch of water in front of it would do much to add to the attractiveness of the area and serve as a reminder of its history.